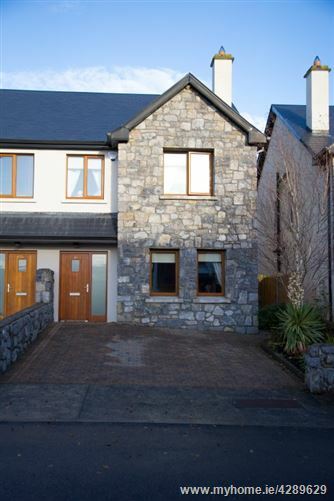 8 Lána An Bhaile is an excellent four-bedroom semi-detached home in the family friendly residential development located in the popular village of Craughwell Co. Galway. The property boasts ample living space throughout with approximately 126.76 sq.m over two stories. Downstairs comprises of a large living room to the front with feature fireplace, accessed through the spacious & tiled entrance hall, and an open plan kitchen & dining area offering an abundance of reception room & integrated kitchen fittings, whilst the current owners have tastefully extended the room to combine a "skylighted" living area which leads to the manicured garden through double glass doors, allowing the property to maximize on light. 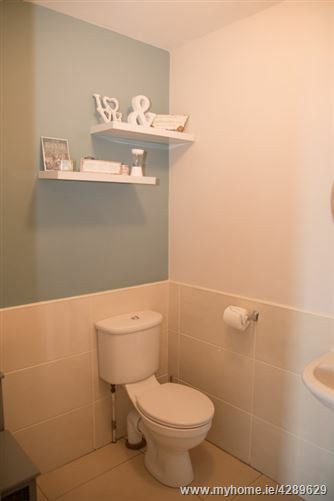 The downstairs accommodation is completed with a separate utility room, just off of the kitchen, and a fully fitted guest bathroom. Upstairs offers four generous sized bedrooms, all with fitted wardrobes & one with en-suite, as well as a fully fitted family bathroom. 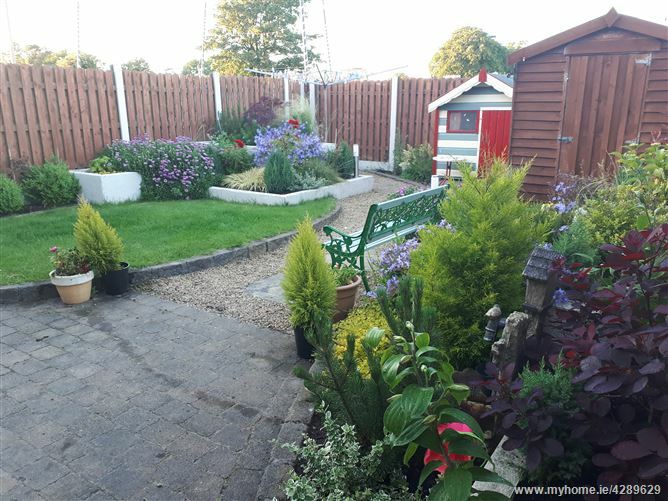 Externally, 8 Lána An Bhaile has a beautiful stone-cut facade, ample off-street parking to the front suitable for two vehicles, and a manicured garden at the rear with elegantly designed flower beds, patio and timber-framed shed. 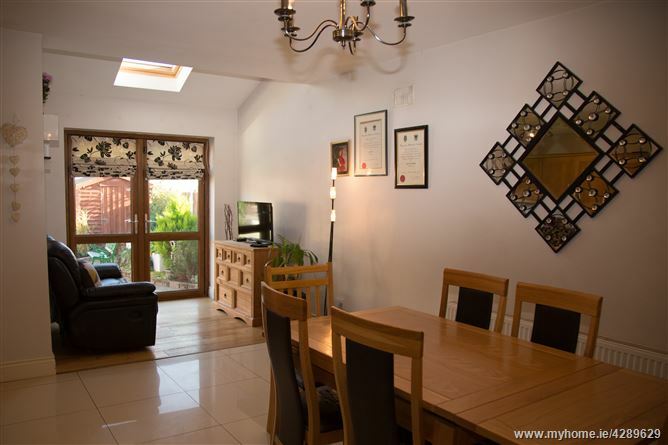 The property is presented in excellent condition throughout & offers modern amenities with integrated appliances in all bathrooms, utility room & kitchen, whilst the property avails of gas heating connected to the main grid. 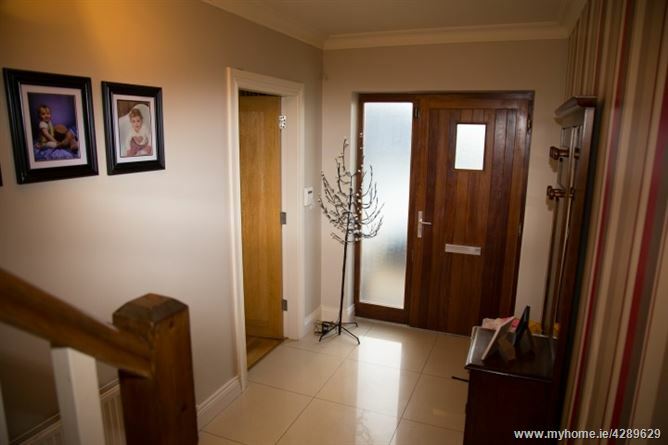 Lána An Bhaile is located just on Ballymore Lane, just a a moments walk to Craughwell Village and is an established residential development cul-de-sac of mostly owner occupied properties. 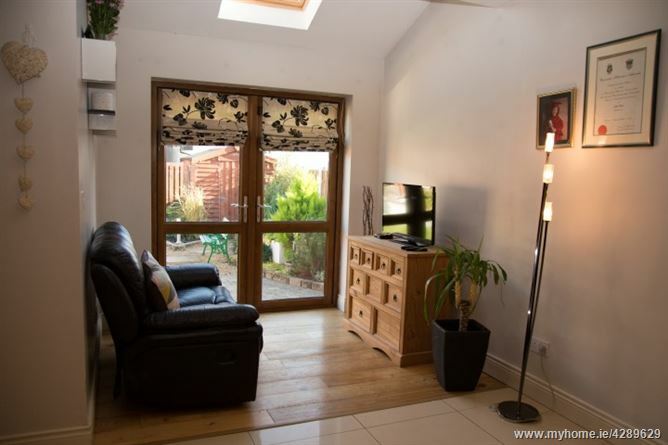 The area is within easy access to Galway City, neighboring towns & suburbs, the main Galway to Dublin Road (N6), and close proximity to both M6 & M18 motorways, making the area attractive to purchasers looking for a slice of village living whilst still being able to commute to surrounding areas. 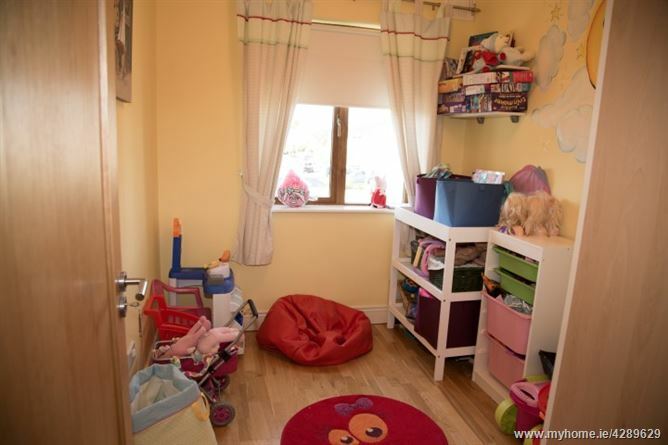 The village of Craughwell boasts a wide variety of essential amenities needed for modern day country living. Pubs, restaurants, schools, churches, medical centres and a host of shops are all found locally. 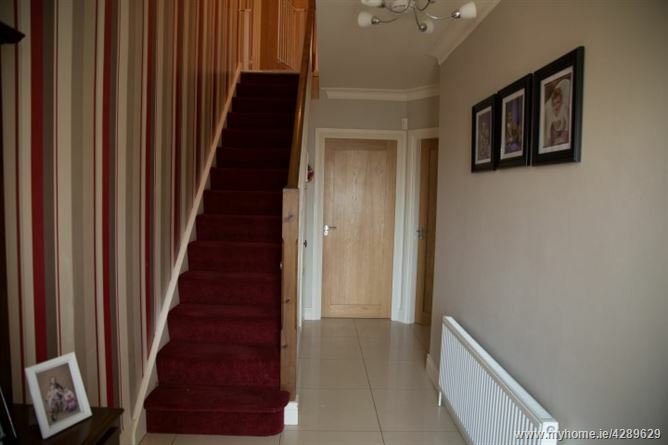 While a healthy array of sporting activities can be pursued within Craughwell. 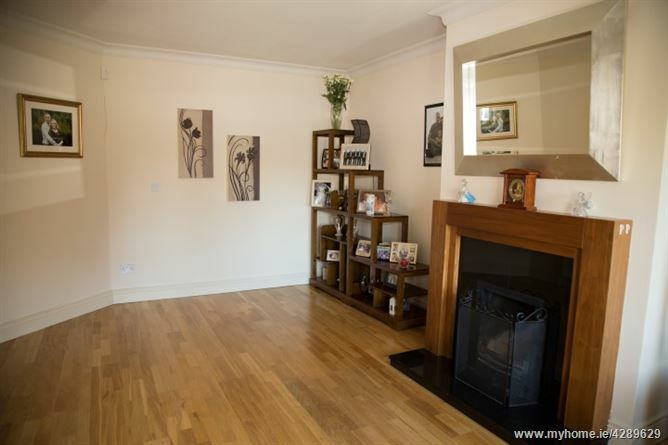 Viewing of this wonderful family home is highly recommended and guaranteed not to disappoint. 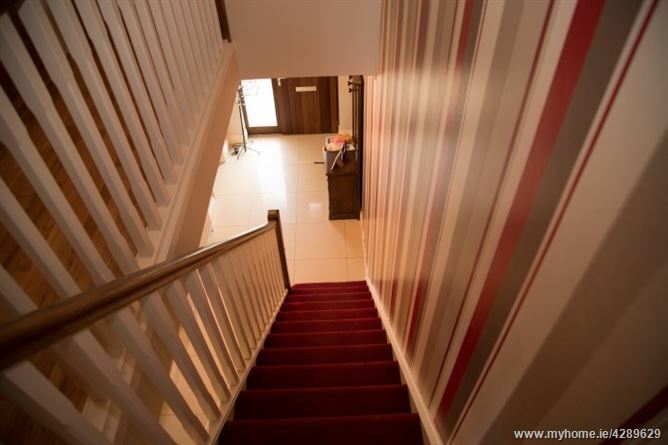 Tiled flooring, radiator and under stairs storage. Tiled flooring & partially tiled wall, radiator, fitted mirror, W.C. & W.H.B. 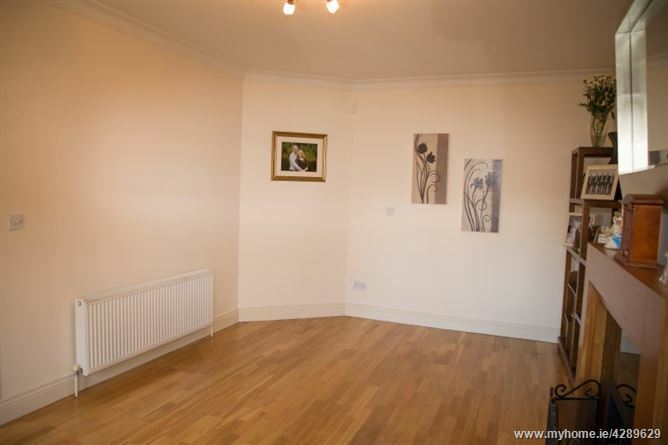 Timber-style flooring, radiator, T.V. point and feature fireplace. 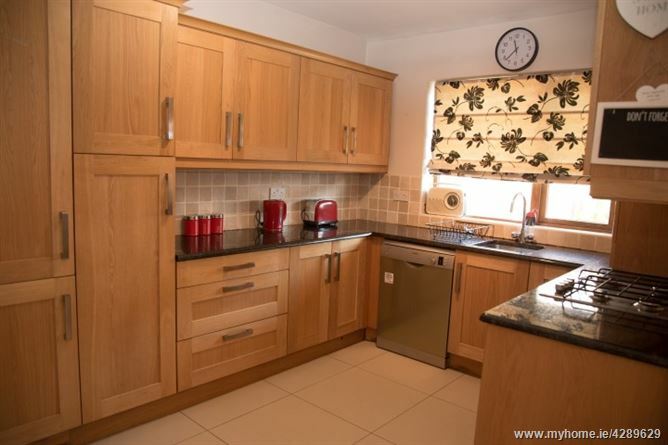 Tiled flooring & tiled splashback, deep stainless steel sink, fitted countertops & shelving, integrated fridge & freezer, gas stove & oven, extractor fan, and plumbed for dishwasher. Tiled flooring, fitted cabinets & countertop, radiator and plumbed for washing. Timber-style flooring, attic access and hot press with shelving. 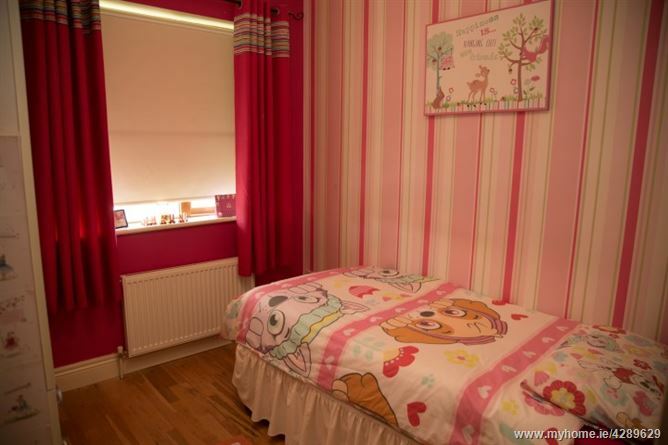 Timber-style flooring, radiator, fitted wardrobe & shelving. 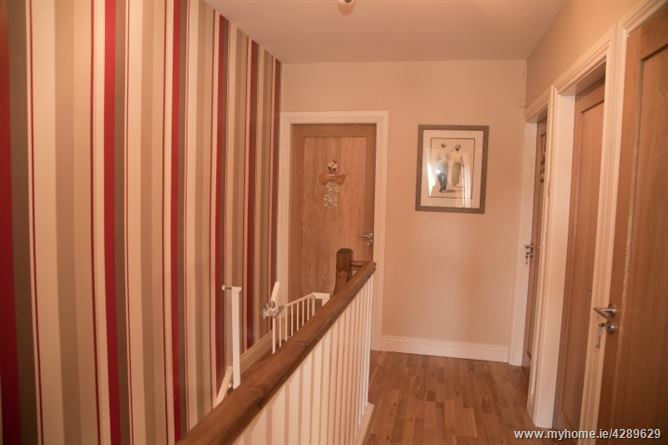 Timber-style flooring, radiator and fitted wardrobe. 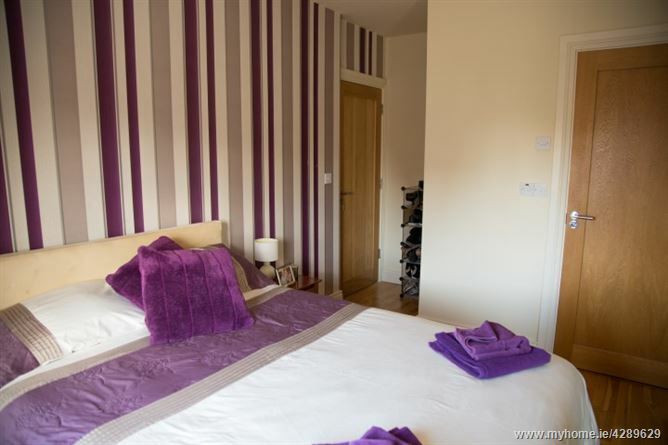 Tiled flooring & wall, radiator, fitted mirror with lighting, bath with shower, W.C. & W.H.B. 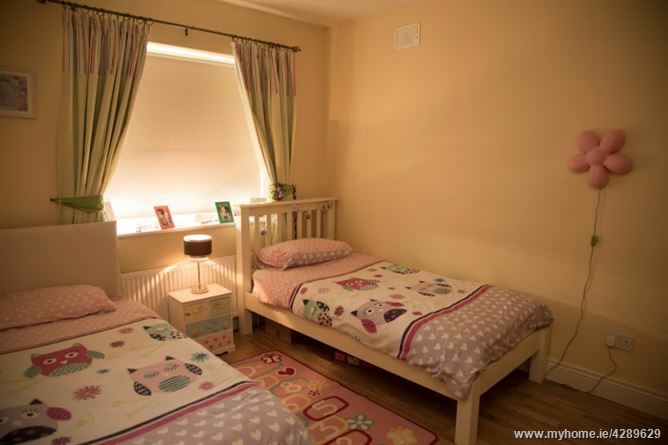 Timber-style flooring, radiator and large fitted wardrobe with sliding doors. 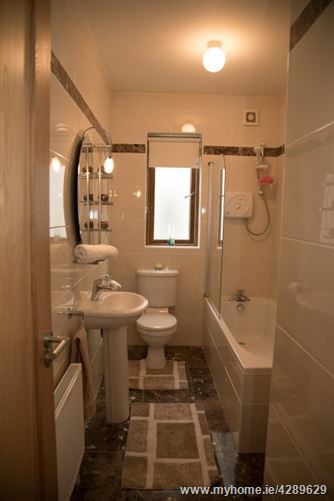 Tiled flooring & wall, radiator, fitted mirror with lighting, large shower with sliding door, W.C. & W.H.B.